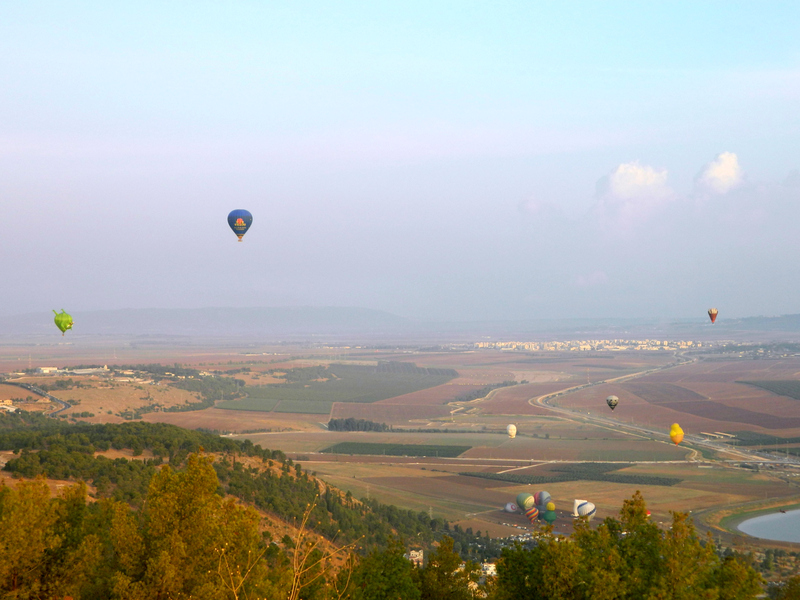 Continuing on with my trip that started on Mount Gilboa where I watched the dawn launch of the Gilboa Hot Air Balloon Festival, I had visited Tel Yizrael and was headed for my next site, Beit Shturman. 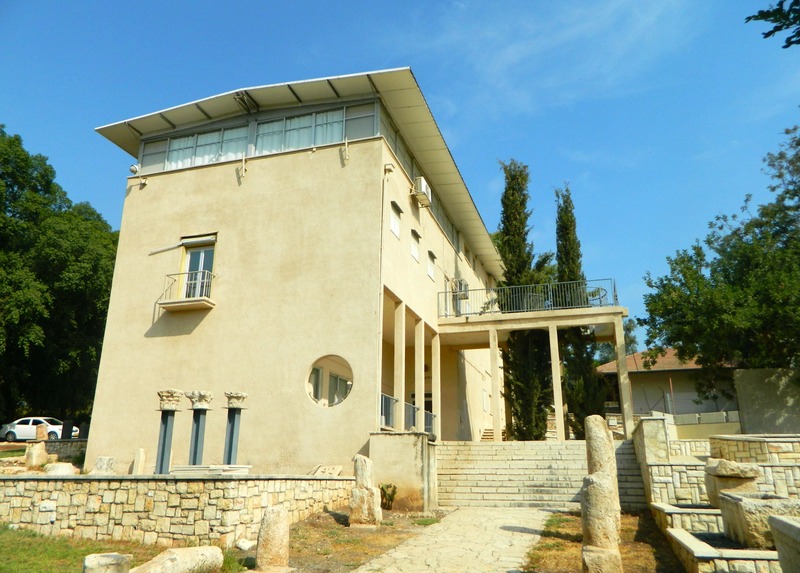 Located in Kibbutz Ein Harod (of which there are two, side-by-side), Beit Shturman is a museum dedicated towards preserving the wildlife and archaeological remains of Israel. 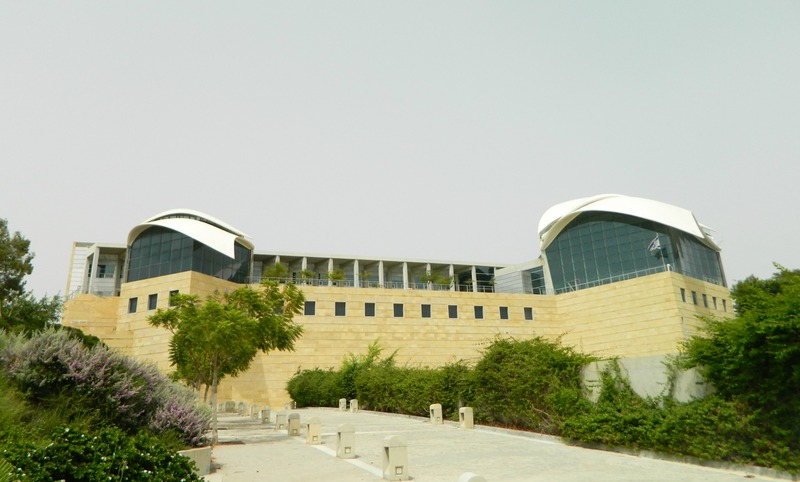 Built in 1941, the museum was one of the very first to be established in to what has become a country full of museums and art galleries, so much so that Israel is the country with the most museums per capita in the entire world. I parked outside a school and sauntered over to the museum, the front door opening as a museum administrator greeted me by name. My visit began with a short film dedicated to the history of the museum, and more importantly, the personal history of the Shturman family. Named after Chaim Shturman, who was tragically killed by a land mine, the museum hopes to be a living reminder of the things that Chaim held dear as an important member of the settlement projects in the Holy Land. Subsequent members of his family also lost their lives fighting for the same cause and the museum renewed their dedication with each loss. I then began my tour of the building with a quick look at the small art gallery, where I found something quite unique. 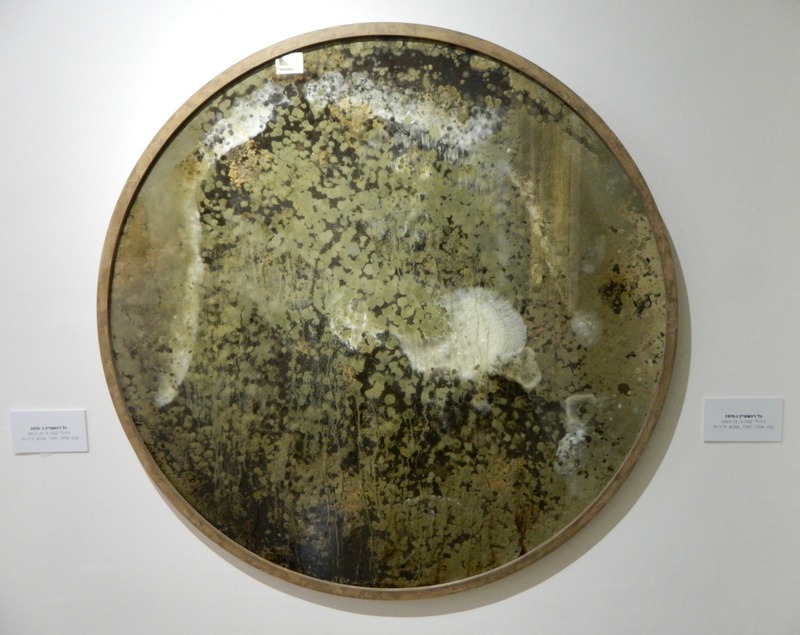 I’m not one for modern art, but I found this particular piece to be compelling: a circular display of mold that had grown on a mixture of black coffee and sugar. Heading into the next room, I feasted my eyes on the myriad of stuffed birds, mammals and more – a taxidermist’s dream. 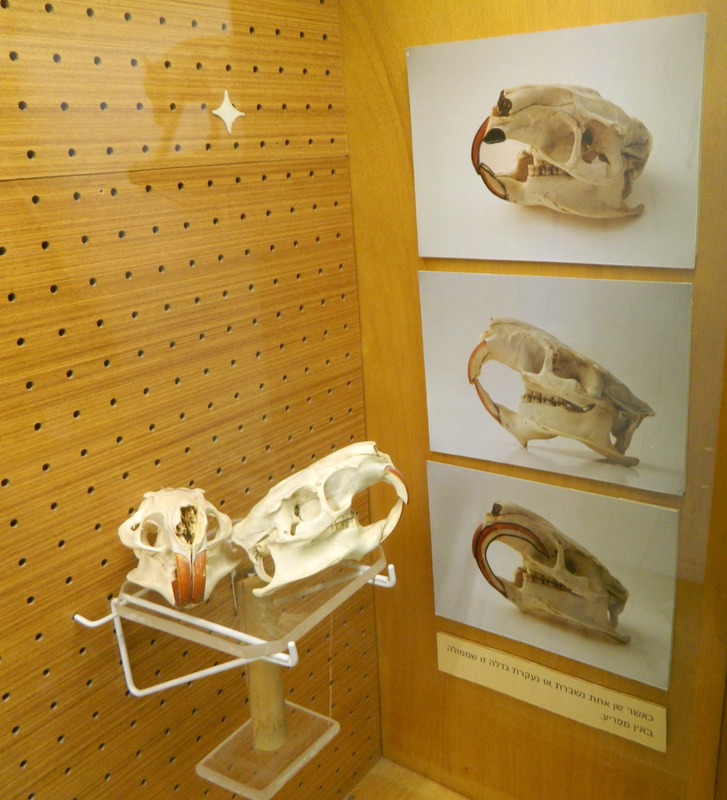 I found the collection of stuffed raptors to be most interesting as it gave me a little further information on all the Old World birds of prey that I know too little about. The jars of preserved human and animal fetuses and embryos were a bit much, but the stuffed hyena reinvigorated me, as I had seen only a mere glimpse of one in the wild. I then learned something interesting about the teeth of the nutria (or coypu, an invasive species from South America) which will continue to grow unchecked if the opposing tooth is broken or extracted. Leaving the room of animal wonders, I headed into the exhibition of Orde Charles Wingate, “The Friend”. 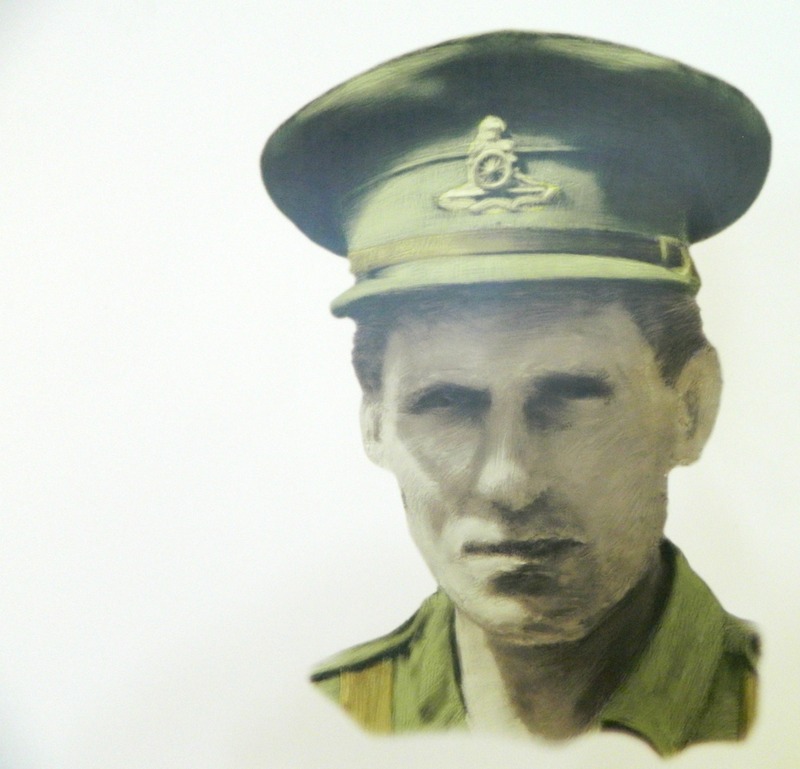 Without delving too far into pre-Independence history, Wingate was a British officer who, upon reading the Bible, took great interest in helping the Jewish pioneers in their struggle for freedom. In 1938, Wingate established the Special Night Squads that were composed of both British soldiers and Jewish “notrim” or Auxiliary Police who were then trained as mobile ambush units. As the time went on, Wingate would fill his ranks with an increasing percentage of Jewish soldiers and his actions, controversial yet successful, began to show to his superiors in the field and back in London. There was a change of policy towards the Jews in 1939 and the SNS was disbanded, with Wingate being transferred to Burma. The success of the SNS left a deep mark in the Jewish pioneers and the unit itself has been thought of as a forerunner to the elite British SAS that we know of today. Leaving the building, I walked the archaeological garden outside, stocked with pillars, presses, sarcophagi and more, all temporarily unlabeled due to renovations. Bidding farewell to the helpful guides, I took a quick look at the kibbutz’s derelict Founders’ Courtyard with the scattered farm tools and equipment which helped create the kibbutz, and then headed for my next destination: Beit Alpha. Perhaps the smallest national park, Beit Alpha is only one large room with a reception/gift shop and outdoor covered courtyard. But it’s the contents of that one room that gives the site its importance – the excavation of a 1,500 year old synagogue. Notably the first Jewish excavation held in modern times, the synagogue was discovered by members of the Beit Alpha and Hefzi-Ba kibbutzim in 1928. 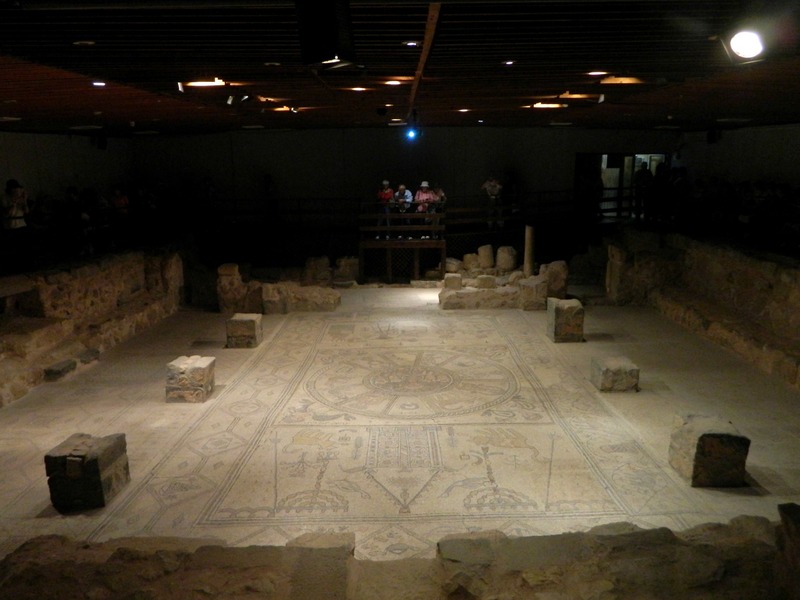 Unearthing was done the following year and the elaborate mosaic floors uncovered are known to be among the most beautiful and best preserved in the country. Prior to seeing the whole floor bathed in light, a video is played with actors recreating the scene of what could possibly have been the thought process behind the synagogue’s design. 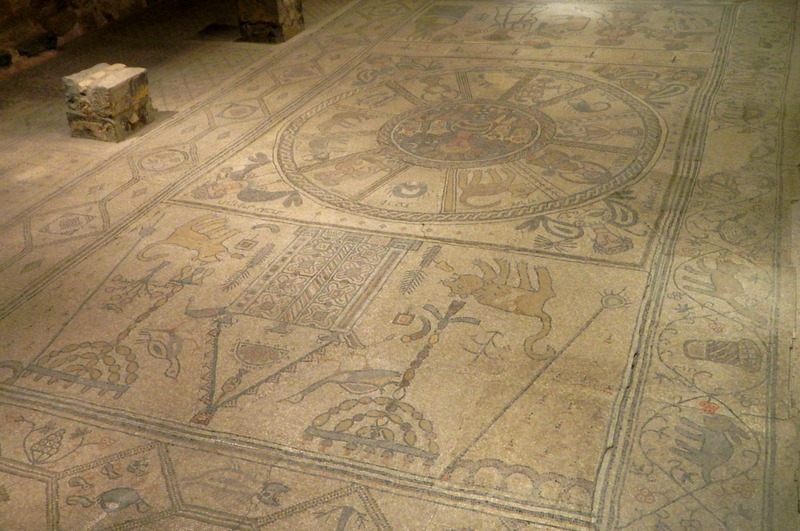 As several of the mosaic details seem “off”, it is believed that sections or designs were simply copied from the ancient synagogues of nearby Tiberias, which was a centre of Judaism at the time. 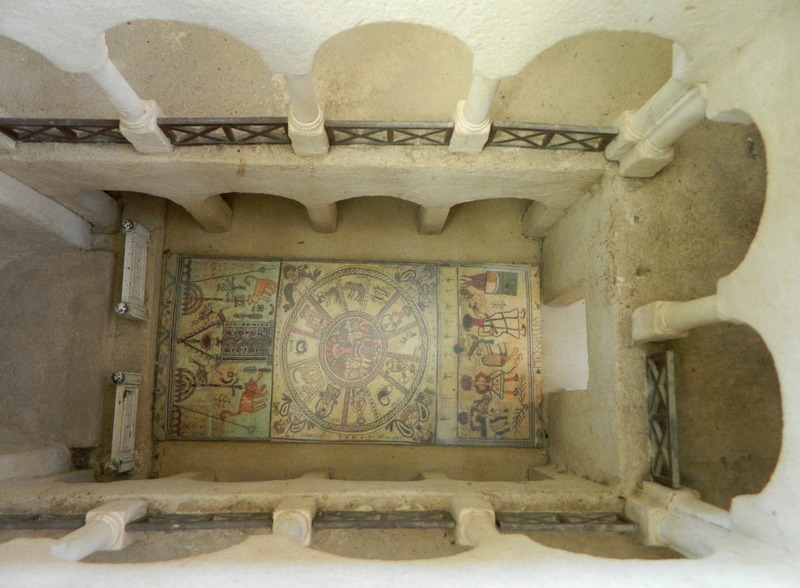 The artists who created the Beit Alpha mosaics, Marianos and his son Hanina, were also listed as the ones creating mosaics in neighbouring Bet Shean, which is logical as mosaic floors were all the rage during the late Roman periods. Even seemingly idolatrous constructions of Greco-Roman gods, such as Helios seen here in the centre of the zodiac, were also seen as something acceptable and perhaps even beautiful from a cultural point of view. With the different areas being illuminated by spotlight throughout the video, in-depth explanations of iconographic significance were afforded to the modern spectator. When the show was over, the lights went on and I took a full loop around the room, taking photographs from various angles. 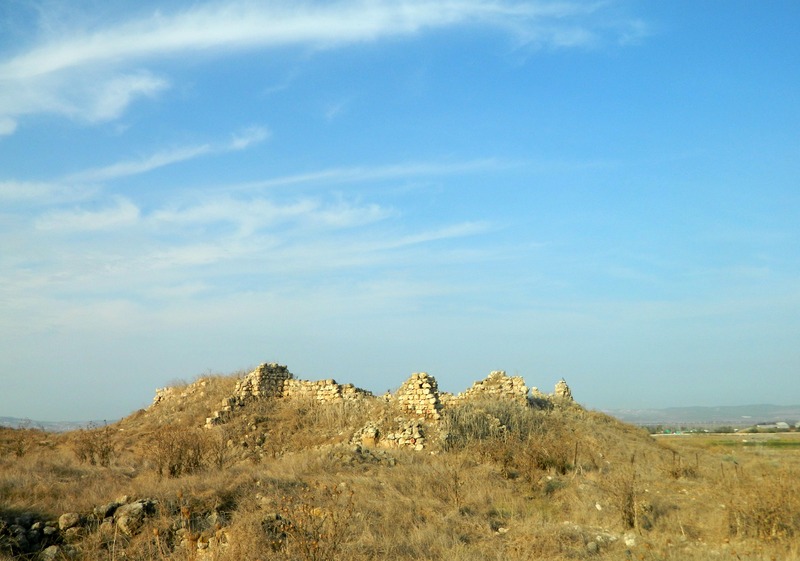 With a new group entering to watch the video anew, I headed out and glanced over the information outside concerning ancient synagogues in northern Israel, predominately found in the eastern Galilee and the western Golan. Having eaten my lunch in the national park’s sukkah, I got back in the car and drove off to my next destination: Bet Shean. 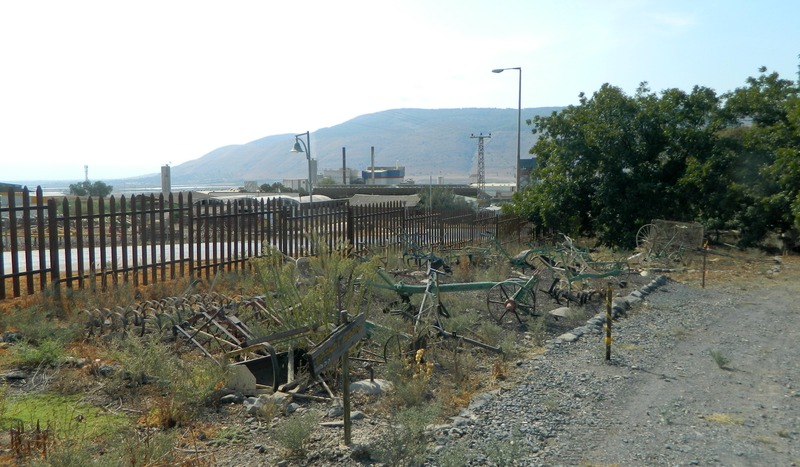 Harkening back to Chol HaMoed of Sukkot, this blog post retells my trip to the Gilboa and Bet Shean regions. I left the house at a peppy 4:45am and drove down the dark mountain roads, through Druze villages and eventually out into the Harod valley. 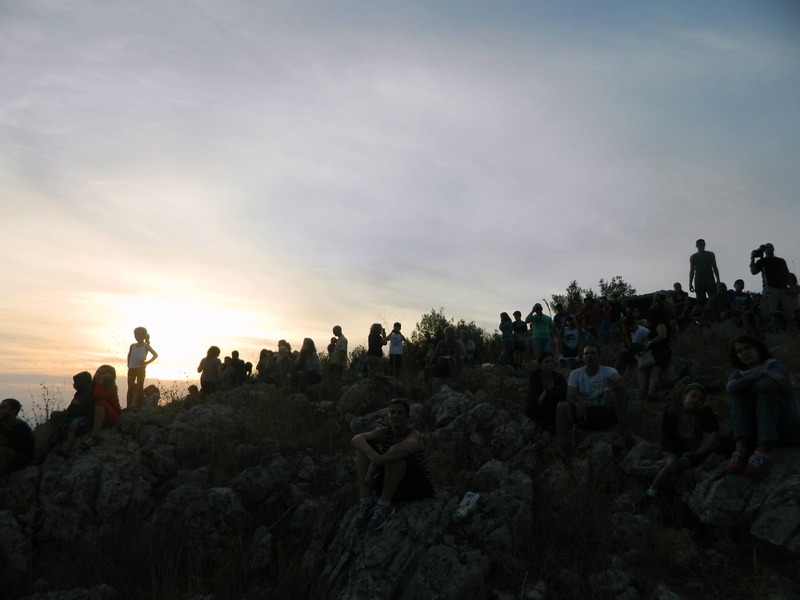 I drove up Mount Gilboa from the west and reached an outcropping known as Mount Shaul where I found an assortment of parked cars – apparently I wasn’t the only one with this idea. 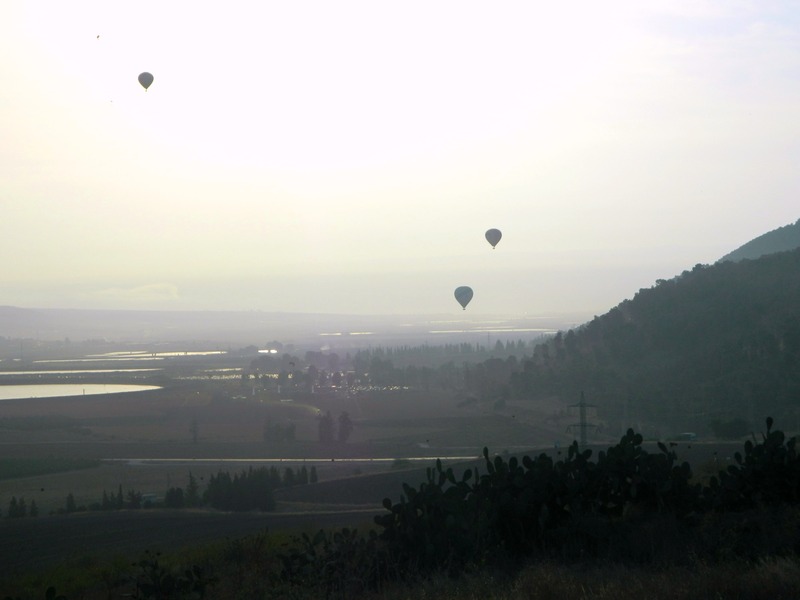 What I had come to do so early in the morning was to watch the dawn launch of the International Balloon Festival which is held in two very different locations every year – the Gilboa area and the Negev. 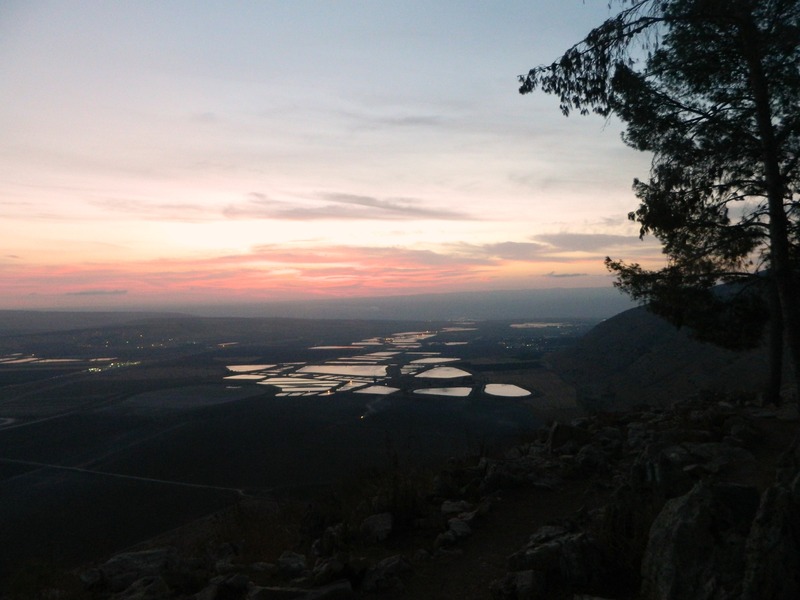 I walked through the pine tree forest on Mount Shaul, passing small plaques with biblical verses commemorating the fateful battle between King Shaul and the Philistines, which culminated in Shaul’s suicide as well as the death of three of his sons. At the eastern side of the ridge, I watched the beautiful sunrise over the valley and Jordan beyond, as can be seen in the above photo. Following a path, I then walked westward until I reached the lookout where the crowds were already staking claims for the best view of the balloon launch. Far below, nearly out of sight due to the trees, the international group of aeronauts were filling up their hollow crafts with good hot air. 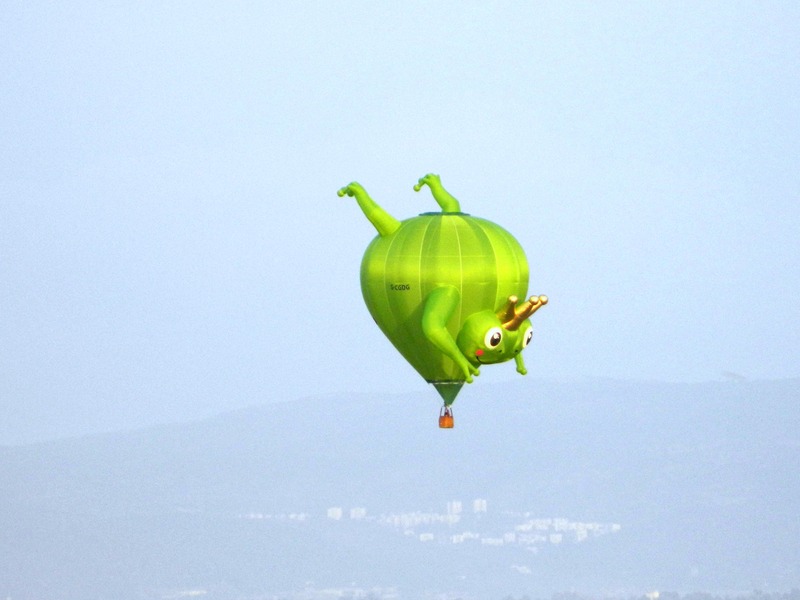 The first to take flight was a blue balloon of standard shape, but the next made the spectating children glee with adoration – a frog with a golden crown on its head rose into the clear morning sky. Several others, both traditional and whimsical, soon took flight, including a white human head, an ice cream cone and a baby chick emerging from its shell. Interestingly enough, the rock I chose as my vantage point was right next to a man stretched out on a blanket playing with his children, and this man turned out to be a reservist officer I had worked with in the army – small world! I stayed for a bit longer watching the different balloons rise and fall and then decided it was time to move on to my next location. As I drove back down woodsy Mount Gilboa, I spotted the balloons from a southern angle, but the pictures didn’t come out nearly as scenic. At the bottom of the mountain I turned westward, heading for a site I’ve been meaning to visit ever since my army years – Tel Yizrael. Located at the eastern end of the Jezreel Valley (the same name Latinised), the tel was once a major Jewish city and over the years saw the standard lineup of Holy Land invaders including the Assyrians, Romans, Byzantines, Crusaders and Ottomans. Due to the tall dry grass and the self-imposed time constraints, I only explored the eastern, northern and western sides of the tel, which is unfortunate because most of the excavations were done on the southern side. But I did see a handful of building remains and ancient water cisterns, as well as this khan from the Ottoman period. Leaving Tel Yizrael I headed to the next site on my list: Beit Shturman in the nearby Kibbutz Ein Harod. To finish off my quartet of Tel Avivian blog posts is this two-part trip to two sites lauding past prime ministers. The first one being Rabin Centre, just outside of Tel Aviv University’s train station, which I took the opportunity to visit on my to the Yarkon Park. Inside the large centre filled with libraries, conference centres and more is a museum dedicated to the life and death of Prime Minister Yitzhak Rabin. Starting off with sombre video footage from the night of his assassination, poignantly portrayed in a large dark room, the exhibition then opened up to a chronological timeline of Rabin’s life. 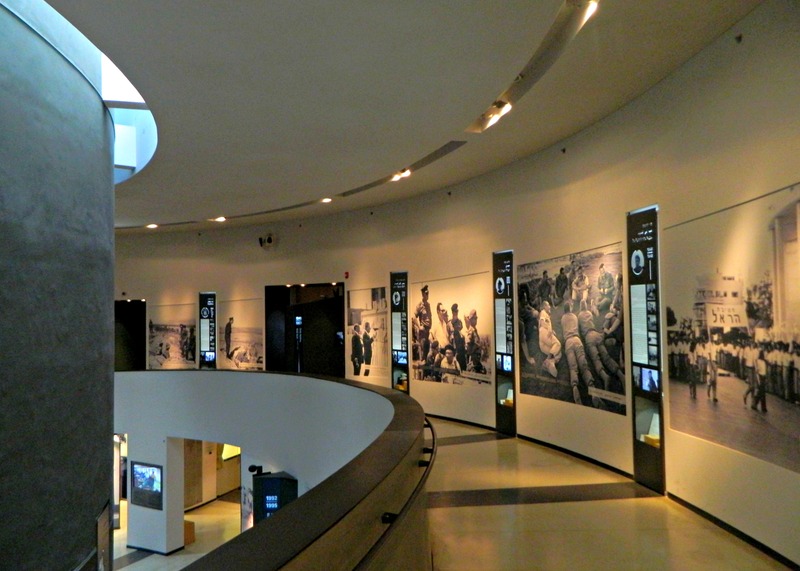 From childhood to his role in the Palmach, from his appointment of Chief of Staff in 1964 to his inauguration as prime minister in 1974 – the exhibit showed it all. Complete with numerous videos scattered throughout the timeline replaying historical footage, I will admit finding frustration keeping my sensor-triggered headset playing the right audio at the right time. A nice assortment of personal items were on display at increments, including various forms of identification, military paraphernalia and even the blood-stain paper he had in his pocket when he was assassinated, after a rally supporting the Oslo Accords. 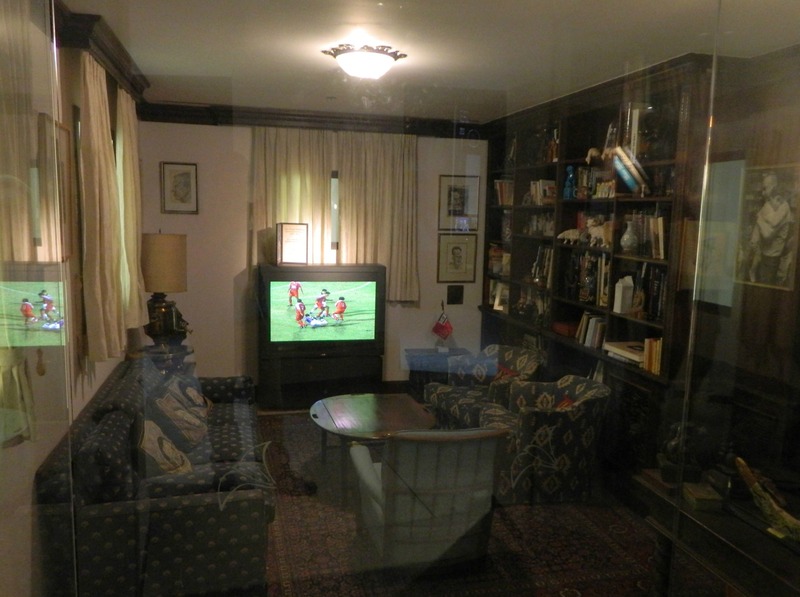 His living room, left exactly as it was the night of his death, was transferred to the museum, replaying the same soccer match he watched. After the lengthy timeline there was a whole slew of pictures, both family- and career-oriented. At the very end of the exhibition is a memorial room with electric candles and then a graffiti wall for guests to write on, sharing their sentiments. Looking into the whole matter of Rabin’s assassination, there seems to be quite a large number of irregularities and suspicious moments, particularly in the lone video recording of the event – known as the Kempler Video (see HERE on YouTube). I tend to take both official statements and conspiracy theories with a grain of salt, so I’ll let you be the judge for yourself. Outside the museum I found another exhibition dedicated to Operation Entebbe, the rescue mission of 106 hostages held in the Entebbe Airport in Uganda performed by Israeli commandos in 1976. Showcased are the behind-the-scenes of the top secret operation, formulated in the course of one day, as well as other thematic presentations. What I found most interesting was the short film about the hijacking of Air France Flight 139 and the subsequent rescue operation, as narrated by one of the mission’s commandos – the point man to enter the hostage room. 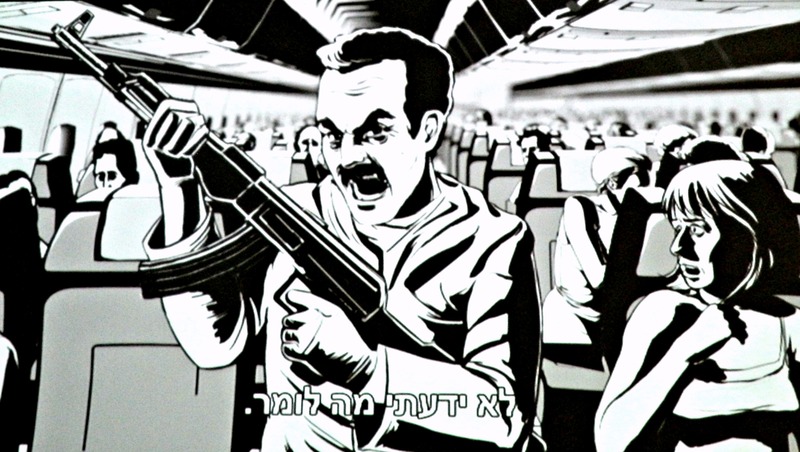 The film is called Cohen on the Bridge: Rescue at Entebbe and the animation style reminded me a lot of a French film called Renaissance, I highly recommend it. 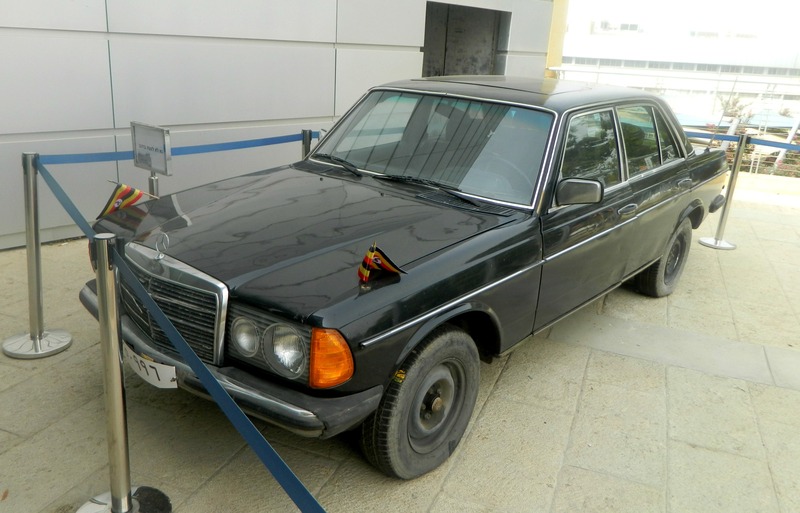 Outside the exhibit, parked on a balcony of sorts, is the black Mercedes Benz used in the operation to mimic a visit by Ugandan dictator Idi Amin. When I was done with those two museums, and after looking at a small photographic art gallery upstairs, I was ready to leave. 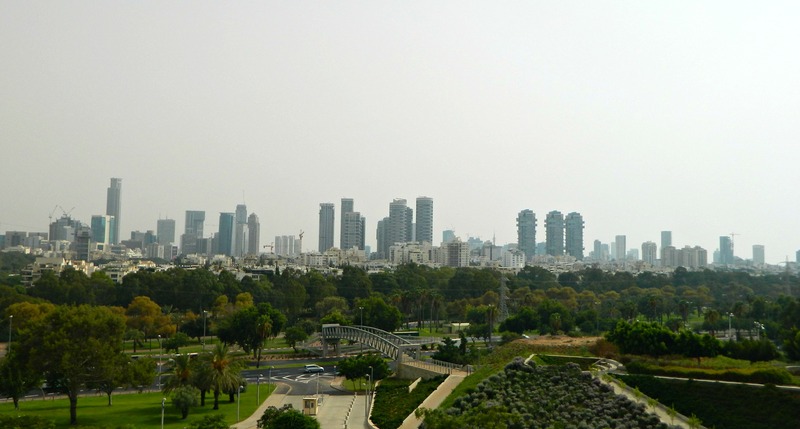 I took some quick photograph of the view of Tel Aviv and the Yarkon Park in the foreground and then made my way to the port area to walk the length of the park. 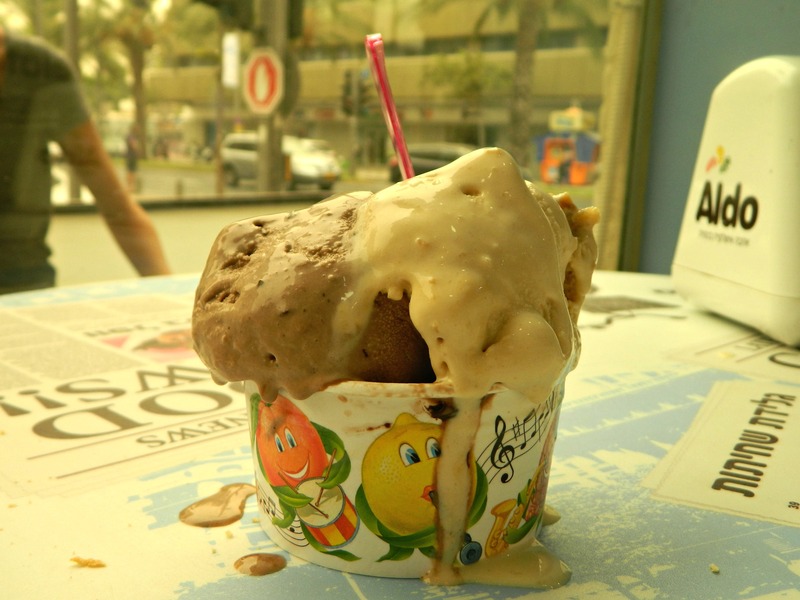 The next day, after completing my exams, I headed over to a kosher branch of Aldo, eager to at last taste one of Israel’s premier ice creams. That particular day was unworldly dusty and turned into a sandstorm that lasted several days, even obscuring Israel from NASA’s satellites. All of the photos from that day have a weird orange-yellow tint to them due to the heavy saturation of sand in the air. Of the three ice creams that I chose, only the Ferrero Rocher chocolate one impressed me – and just to justifiably complain, my ice cream was heavily melted by the time I paid and sat down to eat it. I then continued walking down Ibn Gabirol and then cut across to Ben Gurion to visit my next site: the Ben Gurion House. 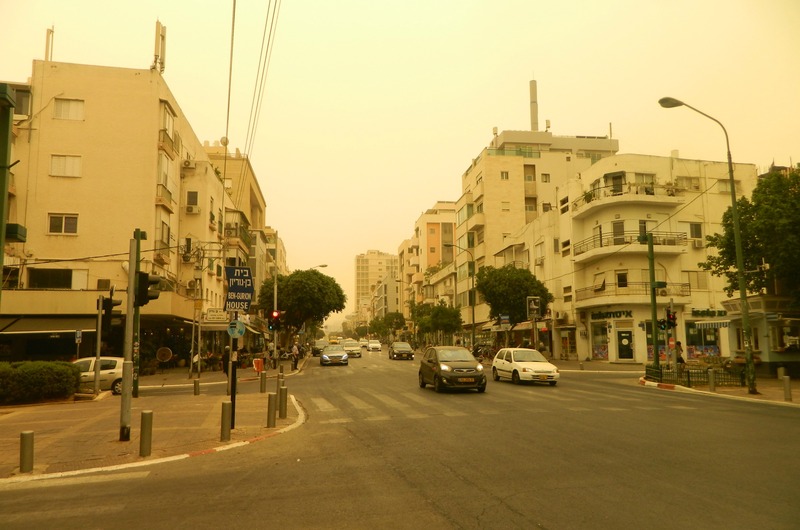 Just look at how strange it looked outside in this photo taken on the corner of Ben Gurion and Dizengoff. I arrived at the house sweating profusely (just like everybody else walking about in the orange gloom) and began my tour of the old house which offered both air conditioning and free admission. 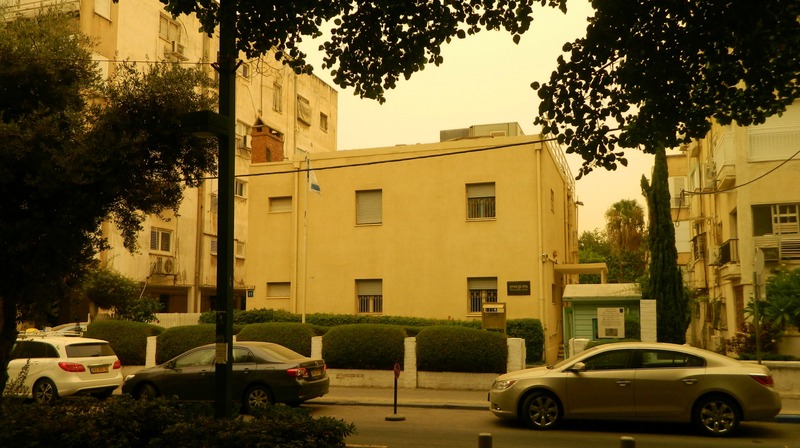 This humble house was the Tel Aviv residence for Israel’s first prime minister, and it was between here and his desert home in Sde Boker that he divided his time. Built in 1930 with renovations done in 1946, the house is preserved and filled with original furniture but with decor set as it was in the later years. There was a huge amount of awards, gifts and the like from personages and institutions the world over, as well as a collection of photographs featuring David Ben Gurion and various heads of state. But what impressed me most was his personal library upstairs which boasts an astonishing 20,000 books in eleven languages. I gathered a lot of these facts and numbers from a very helpful docent whose name I forgot, if he in fact gave it to me at all. 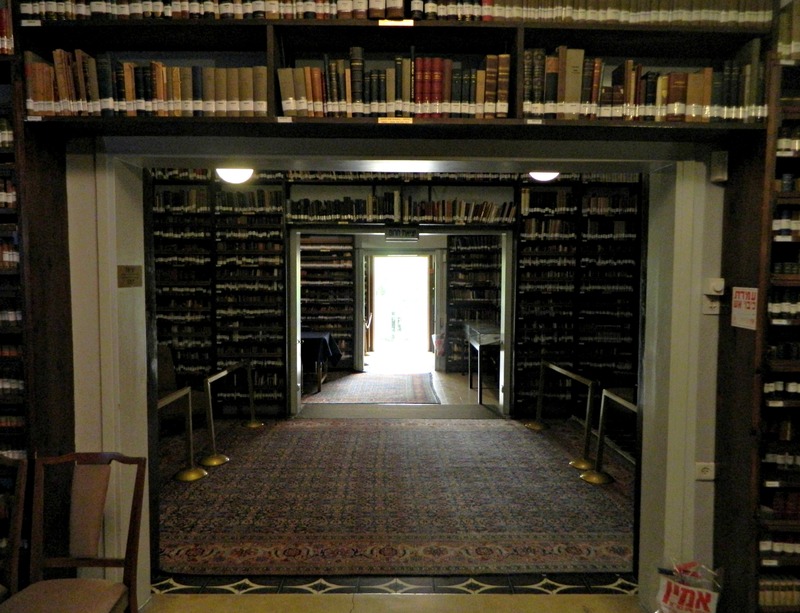 I found it interesting to see how many Judaica books he owned, and wonder how often he opened them. Finished with the museum I headed back over to Ibn Gabirol to visit a liquor store I had passed earlier and purchased some very interesting craft beers which I haven’t seen anywhere else in Israel (including a Noctus 100 and St Bernardus Abt 12, for those interested in details). With my precious liquid cargo safely double-bagged, I boarded a bus to the Independence Hall area just north of Florentin where I found an interesting Turkish restaurant called Turk Lahmajun to eat late lunch at. 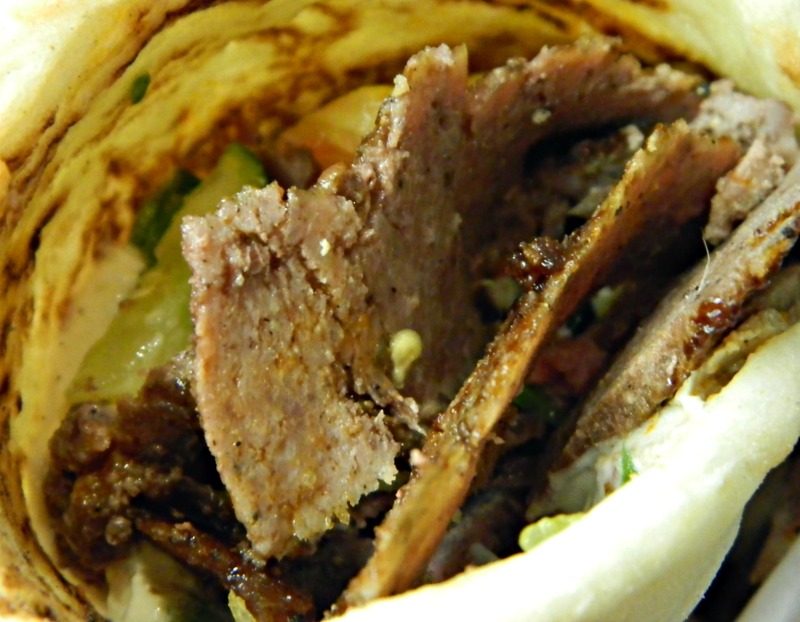 I enjoyed a very tasty lamb döner in a laffa, very similar to the classic Israeli schwarma, and then took a bus to the train for the long journey home.